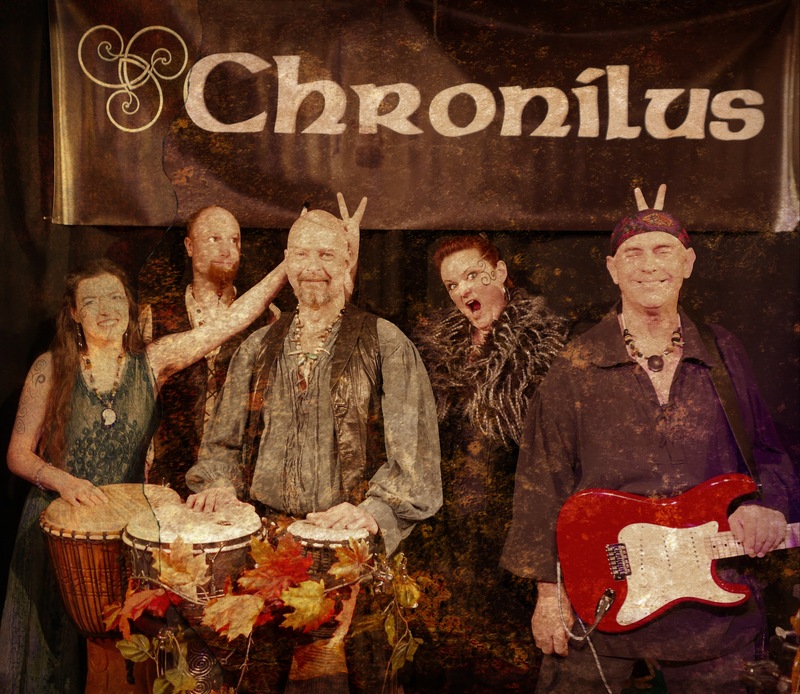 Join Chronilus, the time-traveling bards of Celtic World Fusion, to rock in the new year of 1086, 1399, 1571, 1880, and whatever. 9:00 pm to Midnight! Three hours of revelry, new songs, and the famous Chronilus drinking game for non-alcoholic bevs! $20 at the door. Bring all your friends and dress for time travel! 12 Weeks at #1 on Request Countdown! 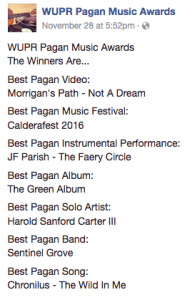 Chronilus just crossed its twelfth week at number one on the listener request-generated Pagan Music Countdown at United Pagan Radio! This week, Chronilus landed at #1, 4 and 6 on the top-13, occupying almost a third of the top-10! Huge thanks to all the thousands of UPR listeners around the world!! New Chronilus Member Debuts Today! Tonight is the night we present our newly trained Chrononaut live onstage, 8:00 p.m. at the Firewheel Community Coffee House, 2727 Colby Ave, Everett, Washington 98201. We ran him through everything we’ve got and he simply would not barf in the simulator. Come see Chronilus with Dann Henderson’s new layers of vocals, fiddle, mandolin, woodwinds and percussion! Chronilus Wins Akademia Music Award! ‘Byker Hill’ by Chronilus received the Akademia Music Award for Best Worldbeat Song! Chronilus just got a big rush of new fans, and we’re not sure where they’re coming from, but welcome!! If you’re new on board, please do introduce yourself here, and let us know where you’re from.